Dylan’s Candy bar is a three floor candy, ice-cream, and sweet shop emporium located in the heart of the Upper East Side of Manhattan. The flagship store in New York City is on the top 10 list of New York City’s attractions. 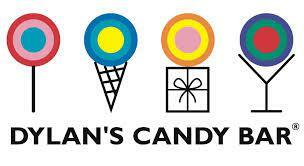 At Dylan’s Candy Bar, there are over 7,000 edible sweets which can provide anyone who enters the ‘ultimate sugar rush’. It is also a tourist favorite for at any moment a celebrity can be spotted ‘getting a little sweeter’.